Getting older supplies you with one of the greatest perks: the coveted senior discount. There are countless places across Florida that offer discounts on everything from hotels, to state parks, to grocery stores. Here are the top 10 picks for sweet senior deals in Florida! For seniors over the age of 55, you should know about Walgreen’s special Senior Days that help you save money on prescriptions and other items. Senior Days aren’t a regularly recurring event, so you’ll want to check with your local store to find out when the next one will be. You can also cash in on savings online during these promotions. Choice Hotels includes top names in lodging, such as Sleep Inn, Comfort Inn, Clarion, Mainstay Suites, and Quality Inn. They offer seniors age 60 and over up to a 10 percent discount on advanced reservations. No matter where you’re traveling, Florida or otherwise, you should have no problem finding a nearby Choice Hotel, making this discount one of the invaluable you can get. This is where I spend almost every evening. Seniors age 65 and up can snag a substantially discounted camping fee in Florida’s state parks. You’ll save 50 percent on your campsite base fee, giving you a cost-effective option for your vacation. Florida is teeming with some of the best state parks in the country, so you’ll want to take advantage of this discount again and again. AARP members in Florida will be glad to know they can save up to 25 percent on an Avis rental car. But the savings don’t end there—you can also upgrade your car for free and get other perks because of your AARP status. Florida isn’t lacking for Avis locations, which bodes well for your travel budget. If you’ve been in Florida for any length of time, you already know what a pleasure grocery shopping at Publix can be. Now, that experience gets even sweeter on Wednesdays with a 5 percent discount for individuals ages 60 or older. It might not sound like a lot per shopping trip, but savings like these can equal hundreds of dollars per year. Fashion knows no age, but Kohls knows how to value its older clientele. Customers age 60 and up with a valid ID get a 15 percent discount every Wednesday. While they do limit your purchases somewhat (a few brands are off-limits for the deal), it’s a worthwhile discount to style your closet for less. The sweetest part about this deal is you only need to be 50 to enjoy it. Take 10 percent off your order at Krispy Kreme and let your taste buds run wild. This is one sweet treat you’ll never outgrow. Who says your fashion sense has to go out of style when you retire? Banana Republic knows that’s not the case, so they offer a 10 percent senior discount to folks 62 or older. It’s a great place to restock your wardrobe for whatever occasion your retirement throws at you. Florida is currently the only state where TJ Maxx offers a senior discount. You can grab a generous 10 percent off on Tuesday purchases. TJ Maxx is already known for their amazing deals, so this little extra helps your dollars go even further. 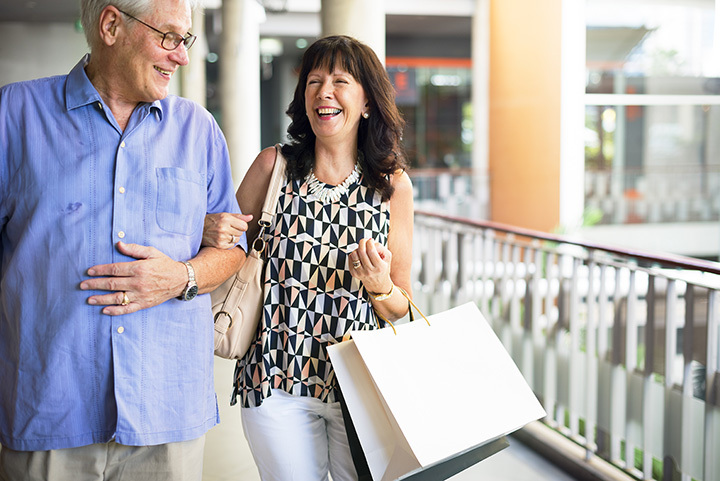 Florida-based department store Beall’s treats its senior customers right. If you’re 50 or over, you can enjoy a 20 percent discount on a special senior day each month. This lenient age policy and even more generous discount could be why Beall’s is one of the most desirable places to shop in Florida.